5 years old, with style like that? i love a little girl who knows how to play a good game of dress up everyday. and it doesn’t hurt that she likes oversized flowers and polka dot tights. 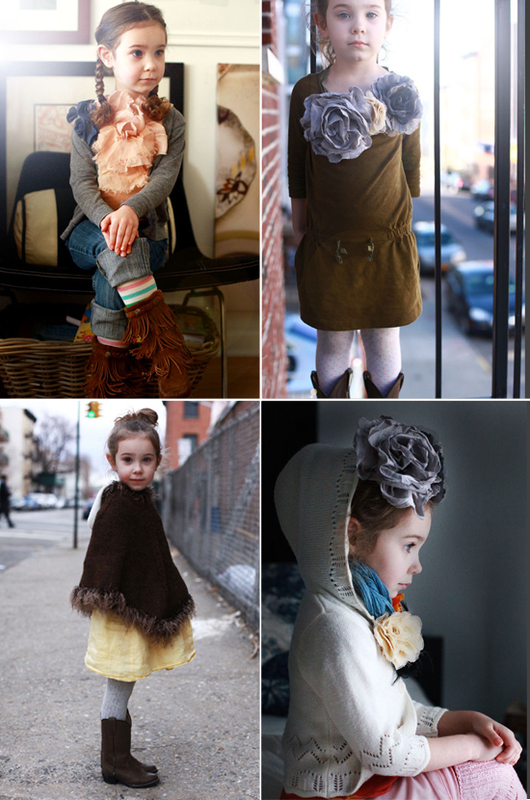 here is jen altman’s daughter, a fashionista in the making! this makes me want to have a baby. definition of a human doll. adorable – and she has such great posture. OH MY GOD. this makes me so happy. Oh my, sooo cute! If I show this to my 5 year old, she will go bananas. Dress-up is just about her all she wants to do at home. Might be making giant tissue flowers this weekend. oh my gosh that very first photo is absolutely precious, this little girl is too cute! She is absolutely gorgeous. I love her poncho outfit and the profile shot is just beautiful. So precious. Ridiculous (ly) cute! I love the poncho! So sophisticated for such a little thing too! This is so cute. She is rocking those flowers! Her sister is adorable too with her polaroid! Are you kidding me? She is ridiculously cute! Wow. I need to take some style cues from her. Oh my word. She’s too cute…. Where can I buy that poncho ? WOW, she does have amazing style! She is so stylish and she is sitting so pretty too. She is so sweet and adorable.